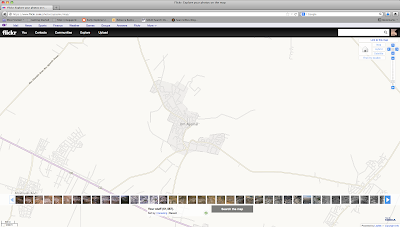 Perhaps one of the easiest way to search for images of a place is to search by its location. 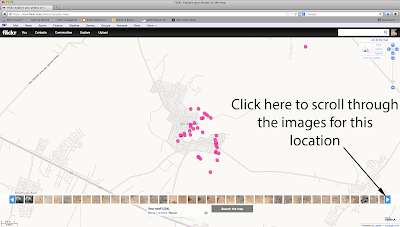 You will now be able to search using this method on our Flickr archive because we are currently uploading our geo-referencing metadata with our images. We'll let you know when it is all uploaded - check our Twitter @APAAME. a digital photograph is georeferenced based on the GPS of the flight path or camera when the photo was taken in real time. 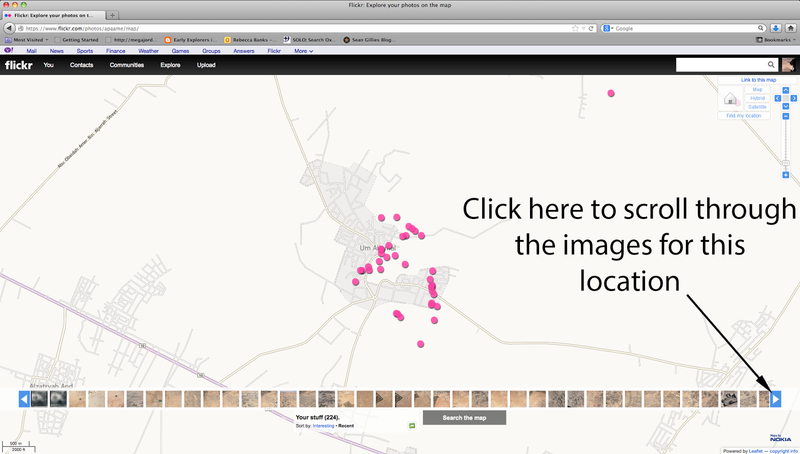 To help you search our Flickr archive by location, we have composed this short tutorial. 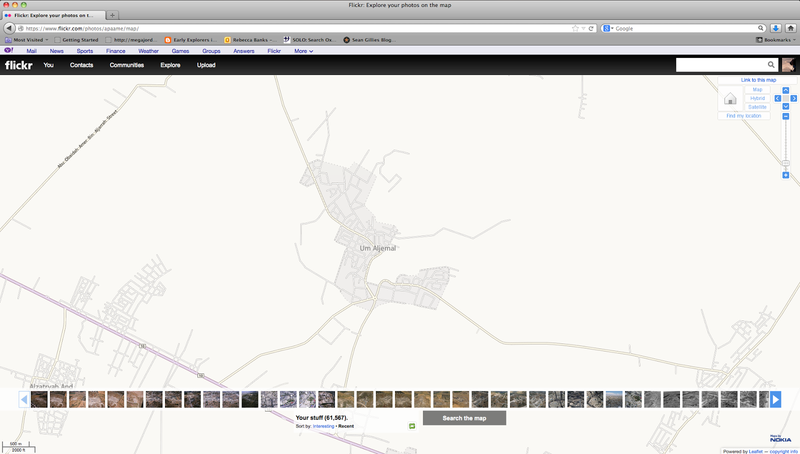 What www.flickr.com/apaame/map looks like when you first get there. Here I have zoomed in onto the ancient and modern town of Umm el-Jimal. 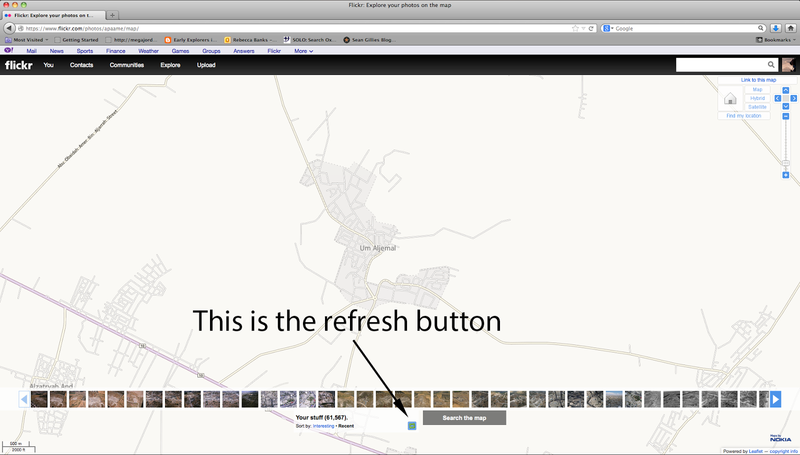 This is where you find the refresh button when you have chosen the area you are interested in. 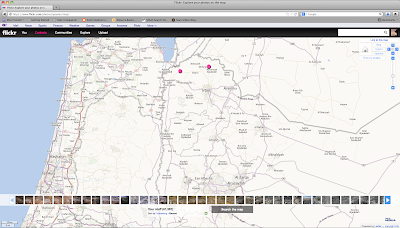 Notice the cluster of pink dots in the centre of Umm el-Jimal and that the list of photographs has gone down from around 60,000 to 200 or so in this instance. 4. If there are more images listed than what shows on the thread, click on the arrow to the right to scroll through them. 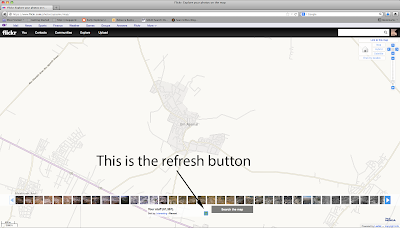 Click on the arrow to the right of the thread to scroll through available images for this area. Notice the distribution of pink dots has changed to suit those images now showing in the thread. 5. 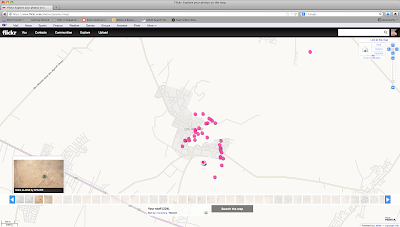 If you click on the pink dot that represents photograph/s georeferenced to that point - the thread of images will highlight those images that correspond to that geographic location. Click on an image thumbnail to view a larger thumbnail, and click on the larger thumbnail to open the image in a new window. Notice the 'dot' clicked on has a white selection cloud around it and the two images for that location are indicated to the left of the thread - one of which has an expanded thumbnail to allow you a better look. Note: the map will only show the locations of those images that are visible in the thread, not all the images in the archive. To access all of the images for the viewable area you must scroll through the thread. We hope this quick tutorial has been helpful. If you would like some clarification, or think we should include something else, please let us know. Likewise, if you have any pointers for us.